Breakfast being the most important meal of the day, it is vital to prepare and present to the kids in an appealing manner. I always go for quick breakfast on Monday through Friday. 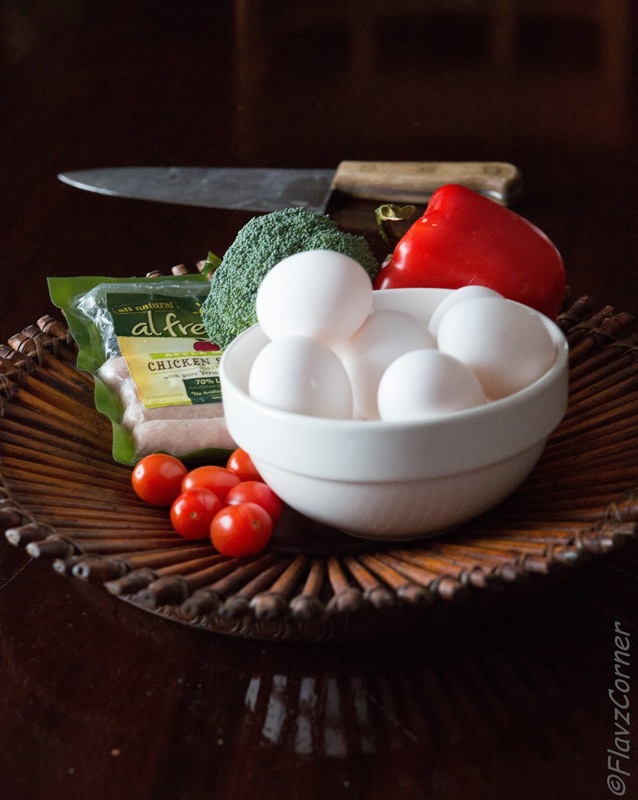 On the weekends you get the leisure to spend more time to make a sumptuous breakfast. My kids have no complains with eggs, which makes my job easier :). The other day when I was talking to my co-worker about kids' breakfast and how they get bored by the monotonous quick breakfast like oatmeal, she gave me this quick casserole recipe from 100 days of real food. I used the basic recipe and added all the vegetable I had in my refrigerator. To make it more impressive to kids, I baked them in flower cake pan. 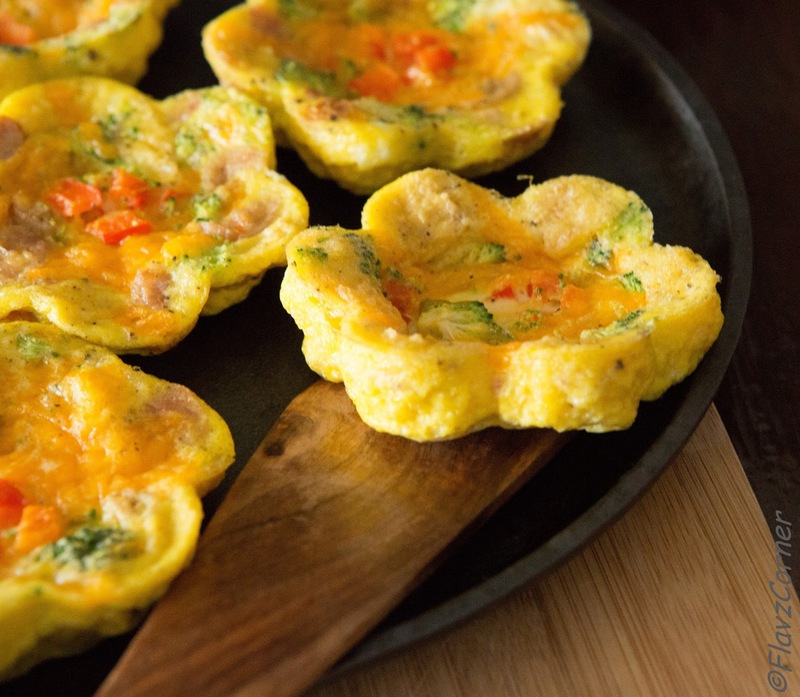 This is an easy make ahead breakfast which you can freeze the left overs to use later. Feel free to add the veggies of your choice. You can bake them in mini muffin tins too. It is an easy to go breakfast that you can make ahead especially if you are one among those who got to hit the road in the early morning and have no time to spend in the kitchen. I made some mini muffins too with rest of the egg mixture. Look at the flower above, kids won't say NO to this. 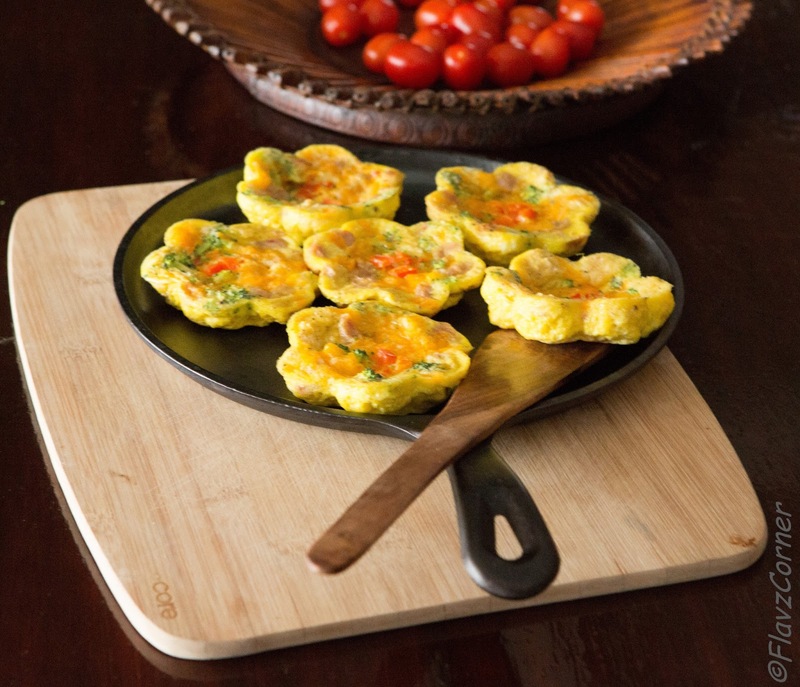 Grease the flower pan or muffin tin or line the muffin tin with liners. 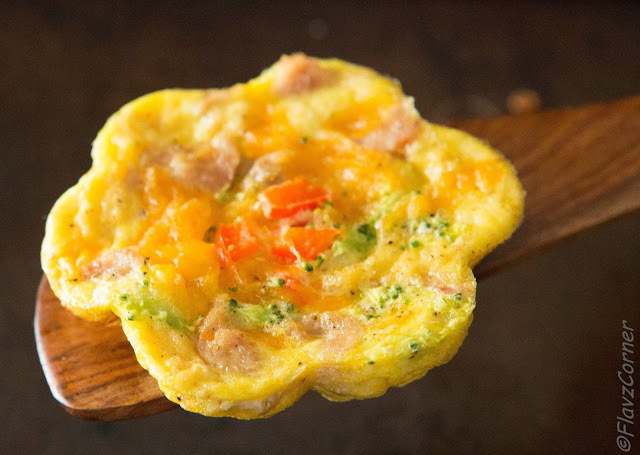 Whisk the eggs, milk, bread, salt and pepper together and divide into the flower pan or muffin tin equally. Spoon the broccoli, pepper, onions and crumbled sausage equally into the egg mixture in the pan. Top with cheese and bake for 11-12 minutes or till the center is cooked well. 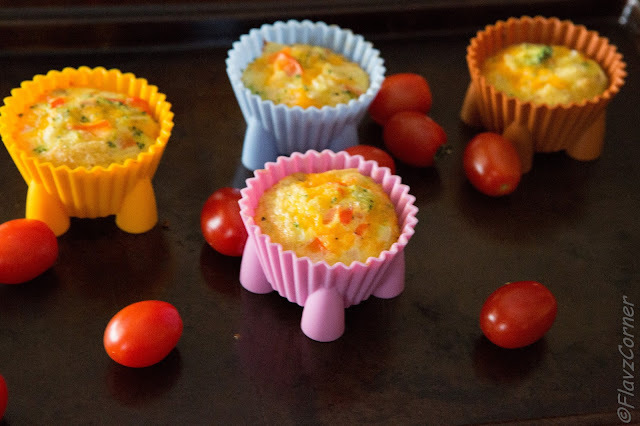 Adjust the cooking time depending on the muffin tin size. Omit the sausage if you prefer a meatless version. That looks so yummy....luvly dea. Happy to follow u, wud be glad if u can follow back. These are so pretty! I love them! What a neat idea! Those little flowers are quite creative and fun! Really nice idea for breakfast - I'd enjoy eating them! Shibi, so pretty. thanks very much for stopping by and linking in with Food on friday. I am blown away by all the different breakfast dishes - over 170 now!